During our A Very Toddler Christmas series we love to share our favorite holiday crafts with you! There are a few crafts that are always big hits so each year we adapt them a bit and then repeat them. 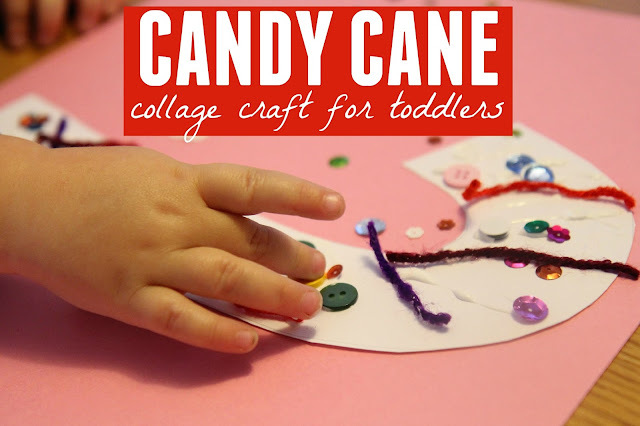 We love making a candy cane collage craft each year so that is what we are doing for Day 9 of the A Very Toddler Christmas series. We tend to vary the materials based on what we have around the house, but no matter what we use they are always so colorful and fun to make! 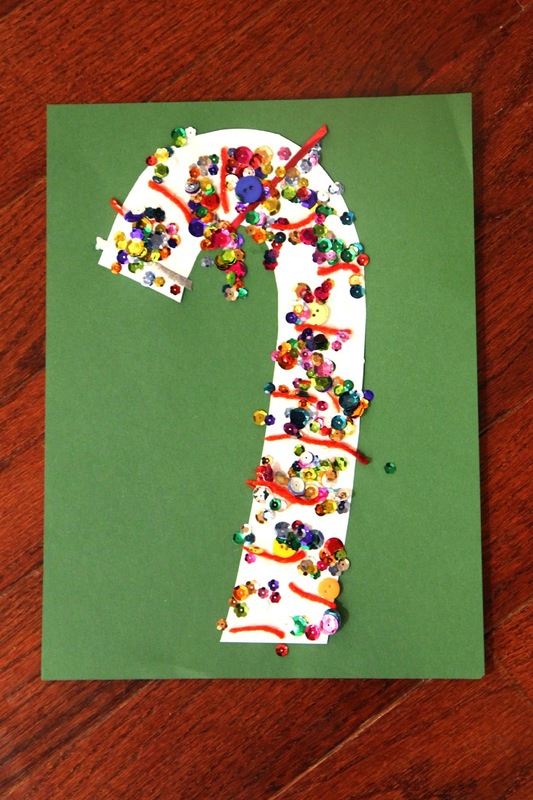 The first step is selecting your embellishments and setting them out for kids in a way that makes them easily accessible. I like to use wide flat plastic bowls to put materials in. 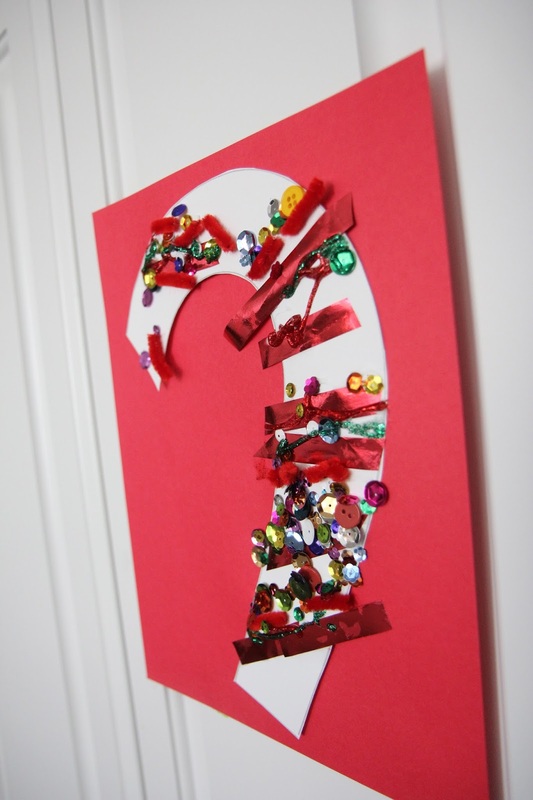 Next I prep ahead candy canes and usually cut out a candy cane for each child from white cardstock. Sometimes we cut the white cardstock afterwards instead. Once the candy canes are cut I let the kids start creating with the white glue and their ribbon/yarn and embellishments. 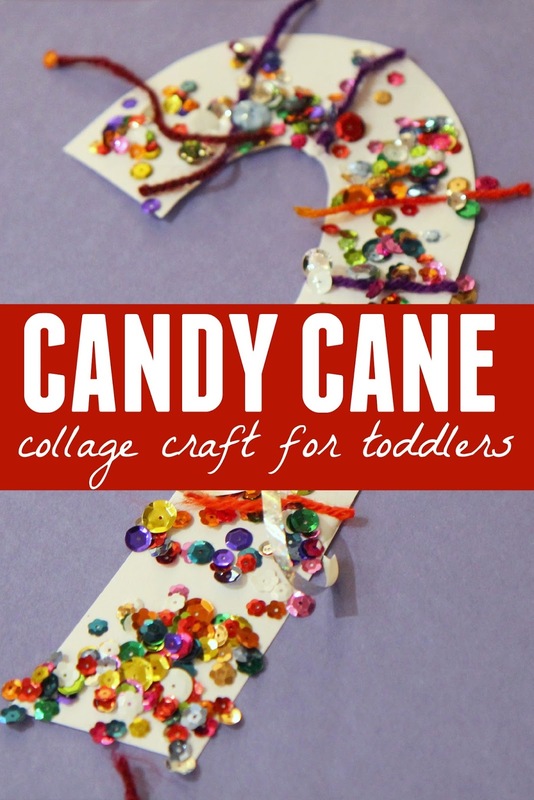 I usually like to jump in and make my own candy cane since I usually have an opinion regarding how I want the kid's candy canes to look... and I don't want to interfere with their awesome creativity. I always love their collages more than what I end up creating! 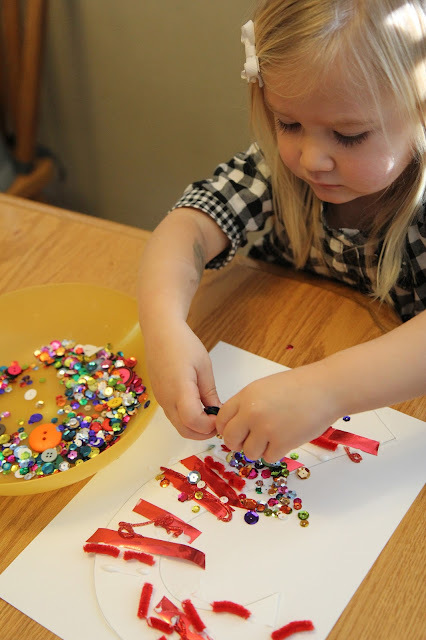 The more materials you put out, the more materials kids will use... so I've learned over time to put out less materials so that they are a little smarter about how they use their materials (otherwise you wind up with just a big pile of sequins or buttons). It is so fun to watch the creating process and see how the projects morph into candy canes with stripes. My oldest made the most traditional candy cane while my daughter and younger son overloaded their candy canes with sequins and ribbon and yarn. Once my oldest saw that it was ok to make them colorful and covered in sequins... he actually went back and changed his to make it even more colorful. 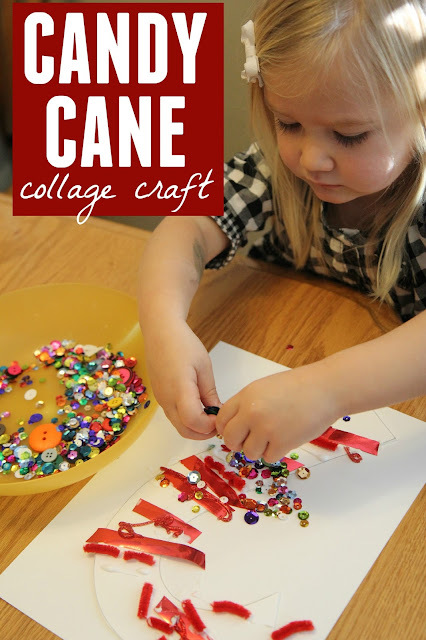 This activity is especially fun to do after playing our Candy Cane Hunt and Match game and making Candy Cane cookies. Do you have any other favorite Candy Cane themed activities? 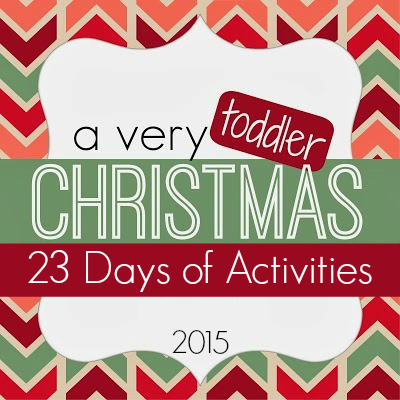 If you missed any of our previous A Very Toddler Christmas series posts you can find them all HERE (just scroll down).